In addition to titles and ranks in the armed forces of any state are still military specialty. 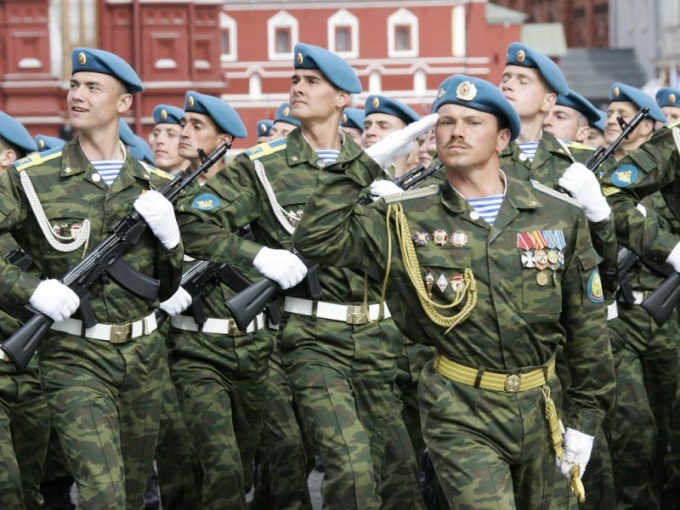 Without professionals in various military areas of combat readiness of the army impossible. Driving military profession is indispensable in the armed forces. The main role of military drivers is to control the automobile, armored and military equipment. Also, these specialists run the rail equipment that carries fuel, ordnance, combat vehicles and manpower. Ships, planes and submarines also require experienced the steering, because they are guarding the sea borders and prevent the attacking enemy forces with air and sea surface. They are indispensable in the elimination of the enemy. And if driving a military car or truck special education is not necessary, in order to control the ship, plane or submarine people learn over the years. Military specialty special purpose is called the elite of the army. People like specialties think through and carry out combat tasks under water, on land and in the air. Such operations are connected with risk and danger to life. Person is constantly have powerful emotional and physical stress, so people of these professions are selected only by the highest criteria. A person must possess not only strong nerves and physical strength, but also a sharp mind. Technological military profession is very important for the armed forces. The representatives of these professions are constantly monitoring the maintenance of the army in full combat readiness, both in peacetime and in war. They provide care for military equipment and weapons. This process is important and ongoing, as each unit of weapons must be in good condition, and in any time be ready to fight. Military technological specialties in demand in the telecommunications, aviation, Navy, army and Railways. Modern military equipment can only function under strict supervision of specialists. Clear instructions for proper operation of various military vehicles, installations and systems are a priority for the post of military operator. Communication is the Foundation of the whole army, without it, and without clear instruction, the armed forces will not be able to perform the tasks. The loss of communication between the troops inevitably leads to the loss of the battle. Here to serve and employ only those people which are distinguished by clarity and efficiency to accomplish tasks.